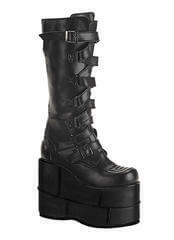 The Lilith platform boots have a D-ring lace-up front with a 1 1/4 inch platform and a back zip closure. 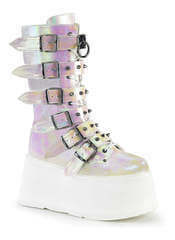 White patent 4 inch heel platform lace up boots with side zipper by Demonia. 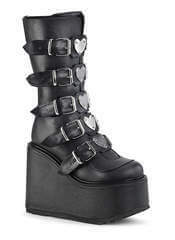 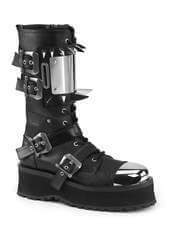 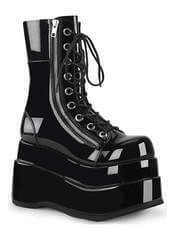 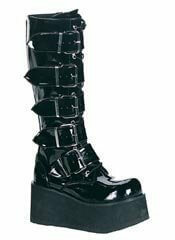 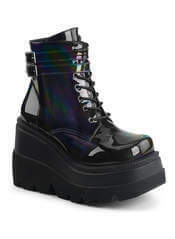 Check out our collection of platform boots ranging from big stompy boots to gothic boots. 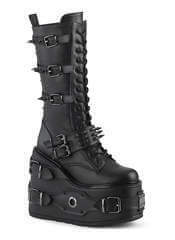 You are sure to find something here that will meet your needs. 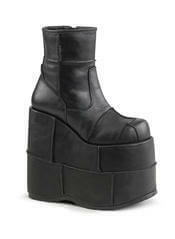 From two inch heels to 8 inch platforms. 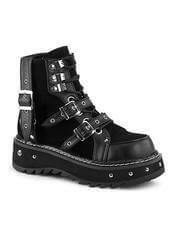 We also offer free shipping on all footwear and accessories orders over $100 to the US.